CARLOS CHAVEZ (Carlos Fortunato Chavez Lopez) was born in the Peruvian city of Paijan, on September 14, 1951. 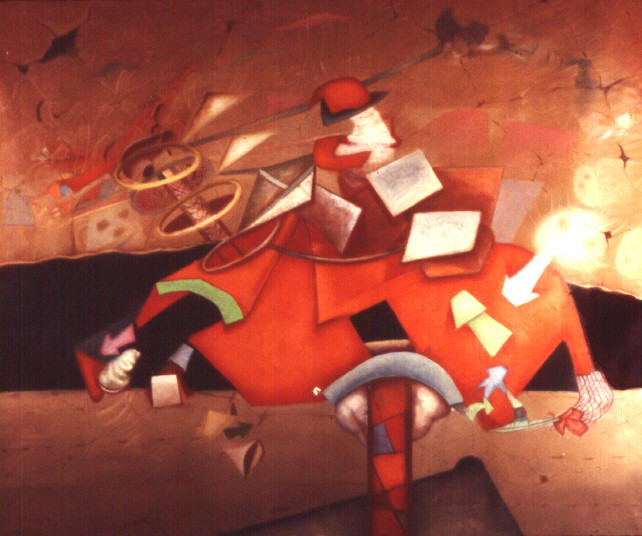 He graduated from the National School of Fine Arts in Lima in 1980. In 1981 he received the first prize at a competition sponsored by the Municipality of Lima. 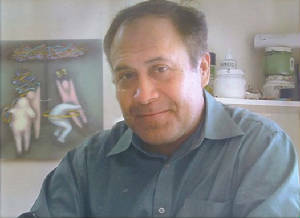 He came to the United States in 1982 and settled in New York City where he has lived since. Carlos has had numerous individual exhibits over the last 25 years to include twice at the Chameleon Gallery in Saugerites (New York) and once at the Museum of Modern art of Latin America (Washington D.C.). He has participated in several group exhibitions throughout New York, Miami, Lima (Peru) and the Dominican Republic and has been honored with sores of awards and recognition throughout his career. This piece represents the birth of Carlos' lineage of "Plastic Art." Since then, Carlos has been consistent in bringing to life color, fragments and figures like no other. All rights reserved. No part of this site may be used or reproduced in any form or by any means, or stored in a database or retrieval system, without prior written permission of Carlos Chavez Paintings. Making copies of any part of this site for any reasons at all is a violation of United States copyright laws.